Not only will this magnificent landscape-shaped cassette fire provide you with significant heating capacity but it will also be a stunning focal point in your living room. 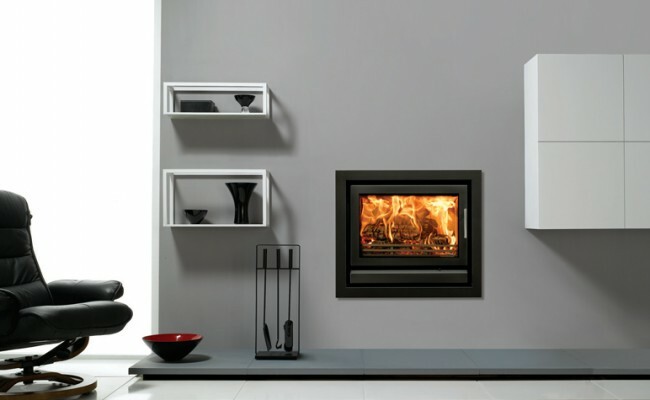 Although it is possible for the Riva 66 to be fitted into certain "fireplace openings", the extra depth required may require selection of the deep versions of the Profil frames to achieve such installations. Alternatively, this model is ideal for new-build homes, barn conversions or where major refurbishment is taking place, and a larger opening can be constructed. If you expect to burn mainly smokeless fuel then, due to the larger firebox, you may wish to consider the optional 'reducing' kit. not only does this decrease the amount of fuel to load but it also guides the fuel and cinders towards the grate for improved combustion. However you may still burn wood with equal efficiency. 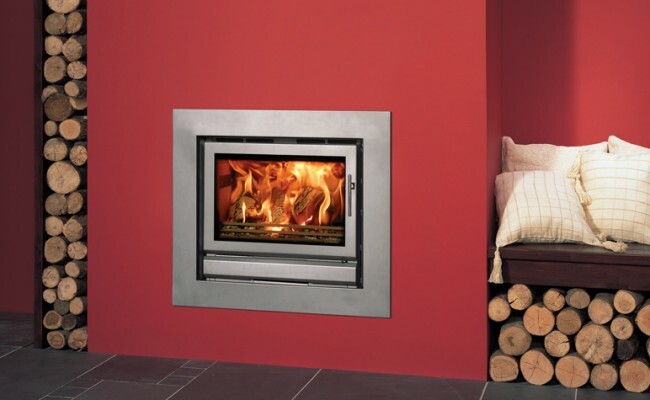 Furthermore, you can optimise the heating potential of the Riva 66 with two accessories. The first is a fan-assisted convection kit, which boosts warm air entering the room at just the flick of a switch. The second is a ducting system that diffuses some of the heat to other points in the same room or into other living spaces. Or install both the fan and ducting system for ultimate heat distribution. Both the cassette fire and frame are finished in a choice of Stovax's Storm or Midnight Black metallic paints. May be 180mm (7") with optional flue collar adaptor. 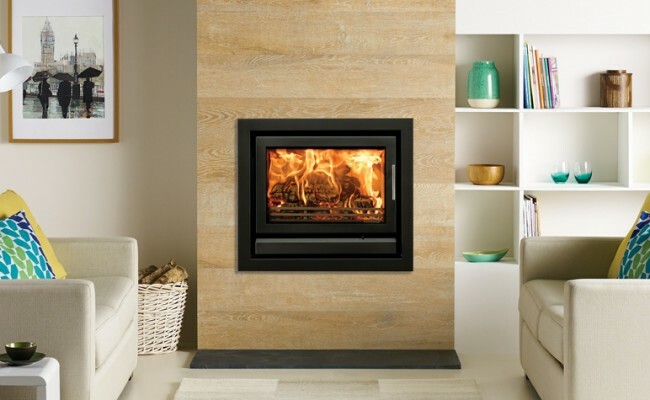 * Enables the Riva 66 to fit into 350mm (13¾") fireplace recesses. ** Recommended if smokeless fuel is to be used regularly.